Avalanche deaths this January have made this month the deadliest in nearly 20 years. DENVER — Ten people have died in avalanches across the West in the last 10 days, making this month the deadliest January for slides in nearly 20 years. On Sunday, one person was killed and another was injured in Washington state in an avalanche near the Mount Baker ski area, and two skiers died in Wyoming after being caught in a slide just outside the Jackson Hole Mountain Resort in a popular place for out-of-bounds skiing. A third skier who was trapped survived. 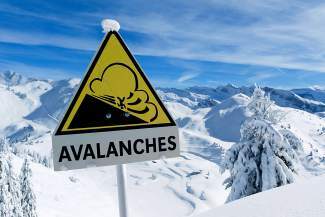 The most common types of avalanches and reasons for them differ somewhat between the Pacific Northwest, where larger snow storms followed by rain are common, and the Rockies, where weak layers of snow hardened by cold and dry weather can give out deep within the snowpack. However, experts say that seemingly small changes in conditions can make a big difference in risk, and that a long period without fatalities can give backcountry users a false sense of security. “It’s the kind of recipe that’s just waiting for someone to find the wrong spot and trigger an avalanche,” he said, who said more people have died in slides so far this January since January 1997. The details of the Washington slide are still being investigated, but it appears that two people who were either snowboarding or skiing were buried in a small slide when a larger slide was somehow triggered, said Benj Wadsworth, executive director of the Northwest Avalanche Center.